George Hudson, the son of a farmer, was born in Howsham, in March 1800. After being educated at the local school, Hudson was apprenticed at a drapers in York. Hudson impressed his employers and eventually became a partner in the business. In 1827 a distant relative left George Hudson £30,000 in his will. Hudson decided to use the money to buy shares in the North Midland Railway. 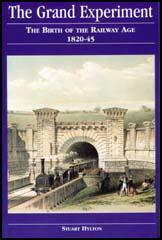 The venture was a success and in 1833 began plans to form his own railway company to link York with towns in the West Riding. After raising £446,000 the line was completed on 29th May 1839. Hudson's next enterprise was to invest in the Great North of England Company so that they could complete their line to Newcastle-upon-Tyne. To obtain permission from the House of Commons, Hudson distributed over £3,000 in bribes. Hudson followed this by forming the Midland Railway Company. He now raised the sum of £5,000,000 to link the Midlands with Scotland. To persuade people to invest in the company he personally guaranteed the payment of a 6 per cent dividend. As well as building railways, Hudson was active in politics. For many years he was the leader of the Conservative Party in York and he held a series of political positions in the city including: councillor (1835) alderman (1836) and lord mayor (1837). His substantial business interests in Sunderland enabled him in the to be elected as Conservative MP for the city in the 1845 General Election. His radical opponent, Colonel Perronet Thompson, was one of the leaders of the Anti-Corn Law League. In the House of Commons, Hudson argued strongly against suggestions that the railway system should come under government supervision. The line from York to Newcastle-upon-Tyne opened in 1844. Hudson's companies now controlled 1,016 miles of railway track and he obtained the title, the Railway King. A survey in 1845 revealed that Hudson had £319,835 invested in railway shares. Hudson continued to buy shares in railway companies. He purchased a controlling interest in the Newcastle & North Shields Railway and the Great North of England Railway. It was later revealed that some of his share-dealings were not being entered in the company's account books. George Hudson became a close friend of George Stephenson. They went into partnership together and opened coalmines, ironworks and limestone quarries in the Chesterfield area. 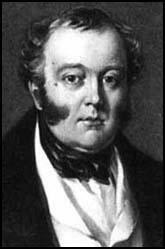 Stephenson also agreed to join the board of the York & North Midlands line in 1840. However, by 1845 he had grown suspicious of Hudson's methods and resigned. Hudson now developed a close friendship with the Duke of Wellington. Hudson helped Wellington to make a great deal of money by advising him on when to buy and sell railway shares. When Wellington asked Hudson what he could do in return, he asked him to visit his daughter at her expensive private school in Hampstead. Apparently, the girls had been making fun at Hudson's social background, and he wanted Wellington to visit her to increase her status in the school. George Hudson also began using inside information to manipulate share prices. In the short-term this made Hudson and his friends a great deal of money. However, railway shares were now over-priced and towards the end of 1847, their value began to fall dramatically. People who had heavily invested in railway shares faced financial ruin. A great deal of hostility was turned on the man who had persuaded them to buy shares and Hudson was forced to resign as chairman of all the railway companies under his control. A committee of investigation was formed to look into Hudson's railway companies and it soon became clear that in the past he had not told potential buyers of shares, the truth about the real financial state of his companies. The investigators also discovered that Hudson had been paying bribes to MPs. Hudson had also sold shares he owned to the Great North Railway at inflated prices and had sold land to Newcastle & Berwick Railway that he did not own. George Hudson admitted these offences and agreed to pay back the money he had swindled from the shareholders. Despite this admission of corruption, Hudson was able to remain as MP for Sunderland until 1859. However, he did not pay back the money he owed to shareholders and in July 1865, was imprisoned in York Castle for debt. After friends had raised a substantial sum of money to pay these debts, Hudson was released in October 1866. George Hudson died on 14th December 1871. Hudson has become too great a man for me now. I am not at all satisfied at the way the Newcastle and Berwick line has been carried on and I do not intend to take any more active part in it. I have made Hudson a rich man but he will very soon care for nobody except he can get money by them. I make these observations in confidence to you. (2) In January 1846 The Standard newspaper praised the work of George Hudson. Two hundred thousand well paid labourers, representing as heads of families, nearly one million men, women and children, all feast through the bold enterprise of one man. Let us hear what man or class of man ever before did so much for the population of a country. (3) In 1848 The Times attacked the activities of George Hudson. It was a system without rules, without order, without even a definite morality. 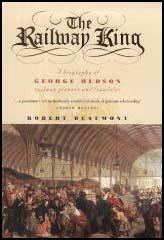 Mr. Hudson, having a faculty for amalgamation, and being so successful, found himself in the enjoyment of a great railway despotism, in which he had to do everything out of his own head and among lesser problems to discover the ethics of railway speculation and management.